Lin is familiar to Russian fishermen-fans, but the commercial breeding of this fish we almost never do. Actually a very good reason. In earlier times, Lin was raised along with carp, as the fish are known for great taste. Given that today the market of commodity Lin in Russia is almost empty, having established the farming of this fish can easily become a monopoly in this area. Tench is a freshwater ray-finned fish family Cyprinidae. The structure of the body is a classic for all carps, but the scales are covered with an unusually large amount of mucus. Classic color — yellow-gray-green, but depending on the environmental conditions can vary significantly. The purer the water and transparent water in it, the color is closer to a greenish-silver. What body of water is more silty, the color of the fish Lin is closer to dark brown color. A distinctive feature is the tail fin that does not have a pronounced Central groove. The corners of the mouth on each side a short 2-mm antenna. The eyes are small, their color or the same color scales, or has a reddish-orange color. Like many other fish living in closed and semi-closed bodies of water, body size of adults depends on the size of reservoir. According to the encyclopedic description of the fish, the tench, the average body length of adult reaches 30-40 cm, but in lakes, large ponds and river coves, some individuals may grow up to 70 cm and weight up to 7 kg. 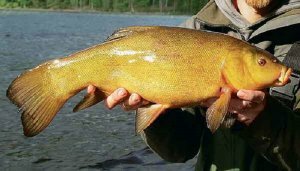 The sexual maturity of tench occurs in 3-4 years. Spawning occurred in the first half of the summer provided that the water temperature is not less than 18-20 °C. Lin alone, in packs, never straying, even at a young age. This fish is sedentary and prefers to stay in the bottom Bush, avoiding well-lit areas. While Lin is far less demanding to the amount of oxygen in the water, which often saves him during the winter Zamora. The diet consists mainly of insect larvae, worms and molluscs, which Lin digs from the upper layers of silt and detritus. Adults actively eat aquatic plants, which sometimes have up to 60% of the diet. The natural habitat of this species is lakes and rivers of Europe. In the East the population of Lin reaches of the Western coast of Baikal, but the lake Lin no. In Eastern Siberia this species occurs only rarely, mostly introduced populations experiencing great difficulties with survival in unusual circumstances. Although nominally Lin — river fish, fast current and cold water he doesn’t like. This species prefers quiet, overgrown with algae, river backwaters, and oxbow sleeves with a very slow current. Also found in lakes and large ponds with the overgrown shores. As the object of Amateur fishing Lin has not much value. First, this fish is so lazy and sedentary that catch it on bait or it is possible only in case, if you just guess the habitat of the individual. Usually Lin lives on the small patch of river (lake) bottom, who is leaving only to spawn. Second, Lin lives in the same waters as the carp, crucian carp, bream and other popular freshwater fish, much more amenable to sport and industrial fishing. As for the purposeful breeding under controlled conditions, here the Ling is also in secondary roles. 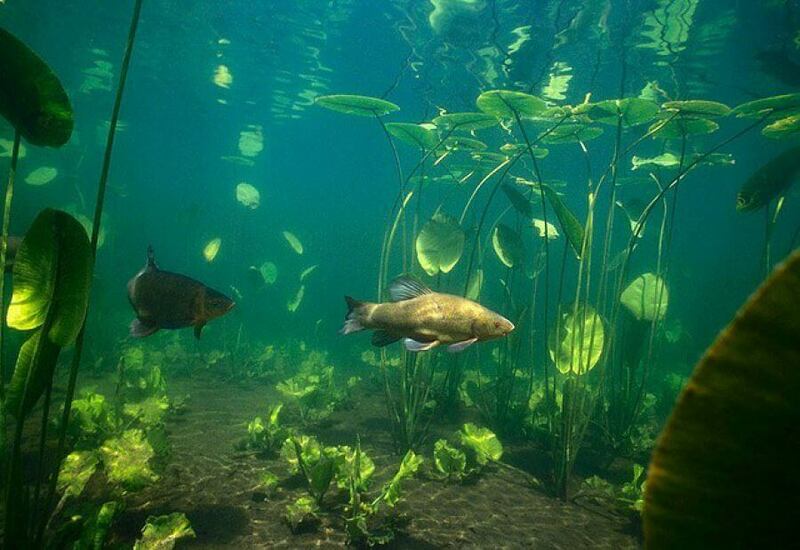 The same carp and carp are more suitable for cultivation in ponds, reservoirs and river dams. However, Lin has one important advantage, which still makes it interesting for artificial breeding. As this fish can live in water with low oxygen, fish breeding Lin possible where it is impossible to plant other game fish. As to the benefits of Lin as a food fish should be attributed to their lower susceptibility to diseases. Unlike other commercial fish, particularly carp, tench hurts dactylogyrus, rubella and other parasites. 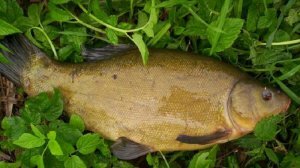 At the same time flesh of the tench is known for its excellent flavor characteristics, It is very juicy and slightly sweet. That is the problem with product sales will not occur in any case. Lin is usually grown as a subsidiary food fish, although in pre-industrial times in Russia it has been bred on a par with carp and carp. 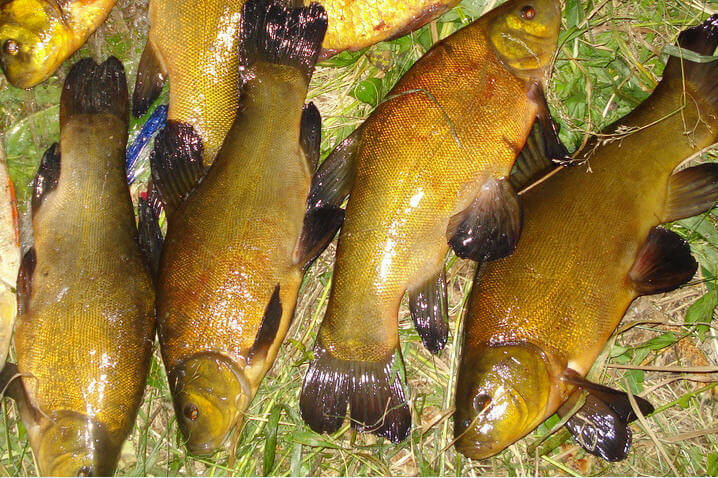 In General, the fish breeding tench in the pond is a little different from breeding carp. The first and at the same time the most difficult stage is the passage of administrative barriers. The pond can either be rented from the state or to dig yourself. In fact, and in another case will have to go through miles of bureaucratic corridors for obtaining all necessary permits and approvals. 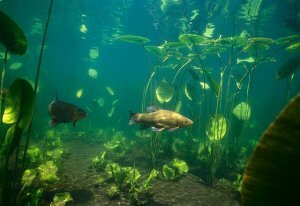 When choosing a pond or place, it is necessary to consider a number of factors, including how a particular body of water suitable for the breeding of tench. 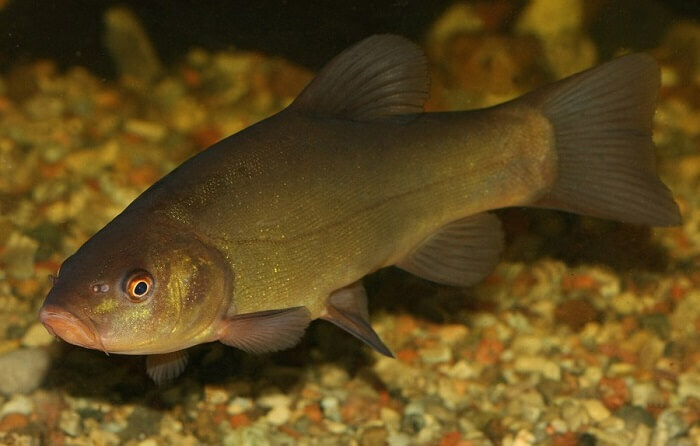 As mentioned above, this fish likes warm muddy waters with abundant vegetation. This is a small stagnant ponds tench are not suitable. In order for the farming business line was profitable, you need to select objects that have a water surface area of at least 20 ha. Can be more depending on your financial capabilities. A large pond not only allows you to grow more fish, but also to earn on granting of services of paid fishing. If the pond is located near a major city, then fishermen may be even more significant source of income than commercial fish. Good income from paid fishing can be counted in that case, if the nearest large town is 50 km away and to the pond leads passable even in bad weather the road. When choosing a pond, you should also consider that You will have to equip the spillway system. This gateway allows not only to regulate the water level, but is the easiest way to catch marketable fish. If because of the nature of the surrounding landscape to build the drain, the gateway cannot better from this pond to drop and pick up another. Also don’t forget that Lin need mud bottom and the abundance of vegetation in the pond. Finally, the water depth shall be not less than five feet, so that fish can safely overwinter. 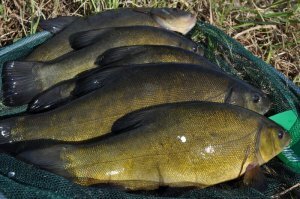 Now a few words about what feeds the fish, the tench. As mentioned earlier, the basis of the diet consists of small invertebrates, extracted from sludge, plant residue and detritus. If the extensive method of breeding fish these natural feeds existing in the reservoir. This method is good because it allows you to do very low maintenance costs of the reservoir. However, he is suitable only for large bodies of water, and the number of marketable fish with relatively little. 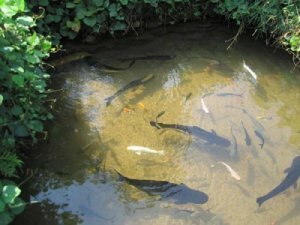 To get more production from the reservoir of the same area it is recommended that an intensive method of growing, in which the basis of the diet of fish is an artificial feed. Typically, this method is practiced with podbroshennye fry, which are released into the pond in the spring and in the autumn are caught and sent for sale. This method allows to obtain several tons of fish per hectare of water surface, but also the costs of the entrepreneur in this case will be very significant. In intensive method of rearing tench fed forage, grain waste, seeds from weeds, and also chopped in porridge fresh vegetables, such as carrots, beets, cabbage, potatoes. 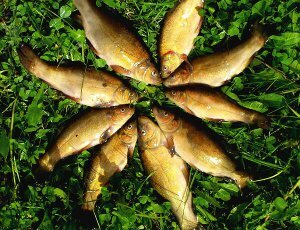 To clarify that eats fish is the tench, can be directly in the fish farm, which supplies the fry. 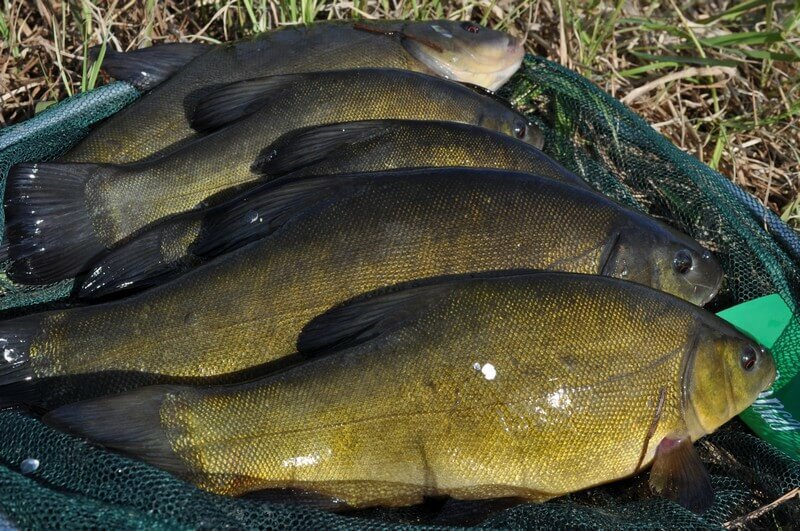 For breeding tench is better to use fingerlings, which implement specialized fish nurseries. Purchase young animals weighing 30-40 gr. at the end of the second year of life reaches a mass of about 200 grams. In the third year of the weight individuals is already about 400 grams, which is a great indicator for commercial fish. However, in the southern regions of our country Lin can gain this weight in the second year, i.e. in autumn of the same year, when the pond was released purchase fry. Average productivity line is 1.2 tonnes per hectare. At cultivation in polyculture with common carp yields can reach 1.5 tons. We should also mention the problem of catching marketable fish. In small ponds the problem and no. Since Lin is very lazy and almost never departs from its stern seats, it is easy to catch a Leveller. Much more the case with large ponds and lakes. In them, the shares will be almost worthless, so as to effectively cover the entire pond is really problematic. The only option is to flush. This should be done at night and with minimal noise; otherwise, Lin will bury in the mud and it will be difficult to come by, even completely drained the pond. But to say something nice about the fish tench. In terms of transportation, Lin is very unpretentious and superior to its “colleagues”. When sufficient humidity Lin can live without water for about two days, that can successfully carry it to long distances with minimal costs. To calculate the average profitability of the breeding Lin is difficult, since it is necessary to consider specific factors that could produce different financial results depending on the environment in which the entrepreneur operates. Besides, today in Russia, no one is breeding only Lin. At best, it is allowed in the pond along with carp. We therefore consider a speculative scheme standard costs for the establishment of fish farms. On average, the creation and preparation of the reservoir area of 100 ha requires 80-100 thousand dollars. This is taking into account the cost of creating the topography of the reservoir and construction of gateways. If You manage to get at their disposal an already existing pond, the cost can be less. Significant portion of the cost will be the purchase of fry. To stagetory stocking of the pond should be about 2-3 million. If you are going to catch all the fish each fall, these costs will be annual. 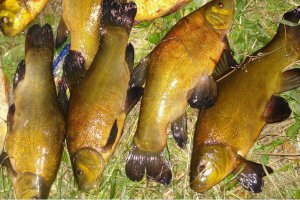 If You are going to put a reproduction on the course directly in Your pond, reducing a catch quota, it is possible to achieve a situation where fish tench in the pond will cover the decline of the population from fishing. In other words, spend money on the stocking of the pond will not have to. In the intensive method of fish farming should be added the cost of additional forage. Since for these purposes, mainly agricultural waste, the cost will depend on how well You are able to be traded and at what price to purchase from farmers this waste. Also, the costs need to add the salary of the guard, which will protect the pond from poachers. Do not forget the cost of the fish catch and its transportation to the place of sale. The average cost of a kilogram grown intense way to fish is about 70 rubles/kg In extensive (natural) method — significantly less. Wholesale sales of frozen fish goes for around 100 RUB./kg. Live fish is 20-40 rubles more expensive. Of course, if you sell fish in retail alone, the revenue will be more. That is, the net profit per kg is not less than 30 rubles depending on your cost, the current wholesale price and method of sale (live or frozen fish). The average per hectare is obtained 1.2 tons of commodity fish (under intensive technique). Thus, the reservoir 100 hectares capable of producing about 3.6 million rubles of net profit per yield (pre-tax). Profit margins can be increased through additional sources of income. As has been said, if the pond where the fish Lin, is large enough, then it is possible to organize paid fishing. For example, in Moscow for a day with a person who wants to go fishing in pay pond, take 1-2 thousand rubles. It is easy to calculate that with 10 fishermen per day, it is possible to obtain 10-20 thousand roubles net profit in day from one only of this income.